With the overall 5-year survival of patients diagnosed with cancer during childhood and adolescence now exceeding 80%, these survivors represent a rapidly growing population who may be burdened with adverse late toxicities and chronic disease. The chapter is organized by organ systems involved and addresses many of the more common adverse non-neurologic treatment-related late effects. The mechanisms of and risk factors for their development and imaging methods for their detection are discussed. This work was supported in part by grant number P30CA021765-38 from the National Institutes of Health, a Center of Excellence grant from the State of Tennessee, and the American Lebanese Syrian Associated Charities (ALSAC). The authors are grateful to Vella Laws-Bell for manuscript preparation and to Cynthia Lyle for critical review. U.S. Department of Health and Human Services. Common Terminology Criteria for Adverse Events (CTCAE) Version 5.0. Published: Nov 27, 2017. https://ctep.cancer.gov/protocoldevelopment/electronic_applications/docs/CTCAE_v5_Quick_Reference_5x7.pdf. Bakta N, Liu Q, NEss KK, Baassiri M, Eissa H, Yeo F, Chematilly W, Ehrhardt MJ, Bass J, Bishop MW, Shelton K, Lu L, Huang S, Li Z, et al. 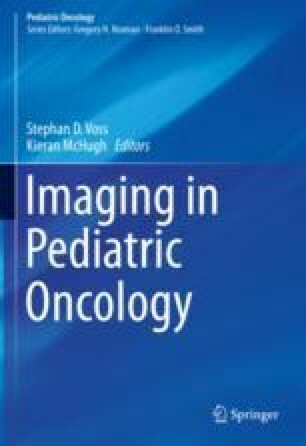 The cumulative burden of surviving childhood cancer: an initial report from the St. Jude Lifetime Cohort Study (SJLIFE). Lancet 2017; 390(10112):2569–2582. https://doi.org/10.1016/SO140-6736(17)31610-0. Epub 2017 Sep 8. PMID:28890157. COG. Long-term follow-up guidelines for survivors of childhood, adolescent, and young adult cancers, v.4.0. http://www.survivorshipguidelines.org [Online]. Children’s Oncology Group. 2014. Available: http://www.survivorshipguidelines.org/pdf/LTFUGuidelines_40. Accessed 24 Aug 2017.